Faster Healing: Recovering at home can actually improve how fast you heal. This is simply due to the fact that you can get the rest you need. It might seem like you would recover quicker at a hospital due to having all of the medical services you need at your fingertips, but it can actually slow down the recovery process. When you are healing, you will need plenty of rest, which can be quite hard to get in a hospital room, even in a private one. There is constant ambient noise that can prevent proper rest and the general atmosphere is not very comfortable, not to mention the stress of hospital bills lingering on your mind. Comfort: Staying at home to recover is a lot more comfortable than being in a cold and sterile hospital room. At home, you are able to rest in your own bed, pursue hobbies, and simply relax while our caregivers handle your day-to-day needs. Reduced Risk for Infections: When recovering, your immune system may not be as good as it once was. Being in a hospital, you are surrounded by individuals who have an assortment of illnesses. This can put you at risk for infections and disease. Staying at home will allow you to stay in a much cleaner environment. Better Food: It is well known that hospital food isn’t that good or appetizing. By staying at home, you are able to eat the delicious food you love. Those are just a few of the numerous advantages that you can enjoy by recovering in the comfort of home. You also do not have to worry about a thing because we are here to meet your needs through our personal home health care services. 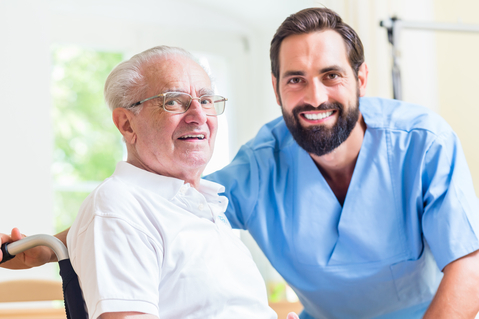 If you would like to find out more about the services we are offering, please feel free to get in touch with Sunshine Home Health Aide Org., Inc. anytime.